A really good option for an actress to play Esmeralda would be Hafsia Herzi. Herzi is a French actress of Algerian and Tunsia decent. 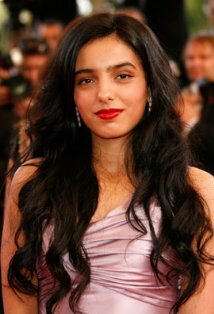 She defiantly has a good look for Esmeralda but more than that she is a very good young actress. She bring a lot of depth, maturity and subtly to her roles. She also has one trait that an actress playing Esmeralda should have; she has a natural sensuality. I think she could either bring a new facet to the character or pull off Esmeralda persoanlity in the book while still being likable. She has also played some one named Esmeralda one before in The Source. And she performed a memorable Belly Dance in The Secret of the Grain . Personally, I think she is a really good choice to depict La Esmeralda but what do you think would Hafsia Herzi make a good Esmeralda or do have another choice for the role?